3 Using the wireless network (WiFi) wisely! 4 How to turn the WiFi option in your router off? 5 How to turn all wireless devices off in your laptop? Install wired PC network in your house and connect it to the wired router and PCs. If you can't deploy a wired network by CAT5/6 cables, try using HPNA technology for transferring the network over phone lines inside the house. Less recommended (but still less problematic than WIFI) is the HOME PLUG technology for transferring network over in house power lines. Turn OFF the wireless features and options on your router and PCs (laptop included). When you must use wireless-cellular network cards and routers (which are not recommended) try to use corded extension cable in order to keep as much distance(at least 2 meters) between the wireless equipment and the working station and the user. don't locate a wireless router(or any wireless device) in bedrooms. If you need a WIFI router, install it in a place where no one stays for a long time. When there is no use of the wireless network equipment turn it OFF( network cards and routers). Keep the router as far away as possible from you. Turn off all wireless capabilities on the router. Use the "device manager" to "disable" all wireless cards and options. Make sure that both the PCs and router don't emit any RF radiation by using a EMF meter. Click here for more instructions regarding the use of PCs. Wi-Fi wireless routers and a PC wireless network cards emit EMF/EMR(Electromagnetic Fields/Electromagnetic Radiation) all the time, even when there is no data being transferred on the wireless network. When the amount of data transferred on the network will increase, the radiation levels both from the router and the wireless PC will increase. When the amount of data transferred will be big, the high to medium levels of electromagnetic radiation will be measured next to the wireless router and PC. The exposure levels will be determined by the time of exposure and the levels of electromagnetic radiation. When the levels of radiation will be higher (a lot of data, and close proximity to the source) and the time spent next to the source will be higher, so will the level of exposure (higher). In most wireless PC and laptops, when the wired network cable will be connected the wireless transmission will stop, but not in all cases. 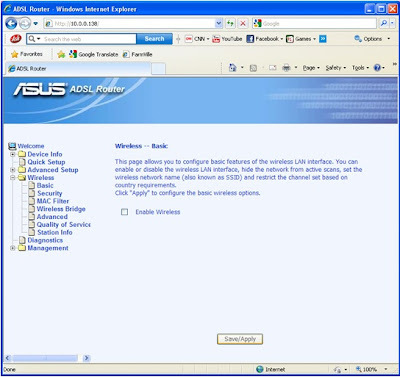 If there is software that is defined to use the wireless network card at all times, the PC wireless network card will continue to transmit and to radiate even when the wired cable will be connected. In wireless routers, the wireless transmission will not be turned off automatically if a wired cable is connected. 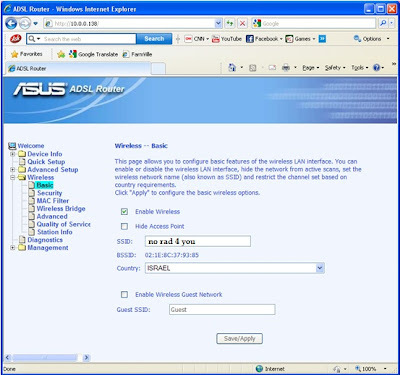 In some wireless routers, it is possible to turn off the wireless option using a special button on the back or using the router GUI (HTML interface). Using the wireless network (WiFi) wisely! In many houses, there is a Wi-Fi router which is part of the home computer network. Wi-Fi routers emit high-frequency electromagnetic radiation when the Wi-Fi option in them is turned on. In some houses, the Wi-Fi wireless network is the only computer network in the house. In some houses, there is also a wired network, which is much safer, faster and reliable. Most of the laptops that are sold and used today have Wireless connectivity via Wi-Fi or Bluetooth; some of them even have a 3G cellular network modem, built in or added. In order to limit your exposure to electromagnetic radiation, it is better to keep the Wi-Fi option on your router and all the wireless connectivity devices on your laptop turned off when not in use. When possible it is better to use a wired network connection. 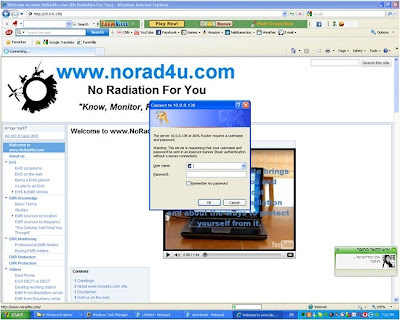 In all laptops and most Wi-Fi routers, there is a button or an easy to turn the wireless devices off, but most people don't know how to do it, and leave if on all the time and by that exposing themselves to electromagnetic radiation when there is no real need. All you need is a quick look at the user manual and you can do the easy steps. In some routers, you can also set the strength level of the Wi-Fi signal. ** Connecting a desktop to the wireless network is not recommended at all times. *** We recommend using the wireless network only when there is no other option, if possible not using it at all. How to turn the WiFi option in your router off? In most WIFI routers that are in the market today, you can find an indication led in the front panel of the router. The indication led will be marked with the words "WIFI", "Wireless", "WLAN" or with a simple of a dot and brackets on it side smiler to (((o))). When the indication led is on, it means the WIFI is on and that the router is transmitting. When it is Off, the WIFI function in the router is probably set OFF (better make sure with a home use RF meter). In most Wireless routers that are sold today, there is a WIFI On/Off Button on the back or front of the device(sometimes on top). In case of a button, usually, a short or long (10 second) push on the button will turn Off the WIFI signal and stop the WIFI from being a transmitter. In most cases, even if there is no button or switch, you can still turn the WIFI signal Off via the routers setup/GUI. 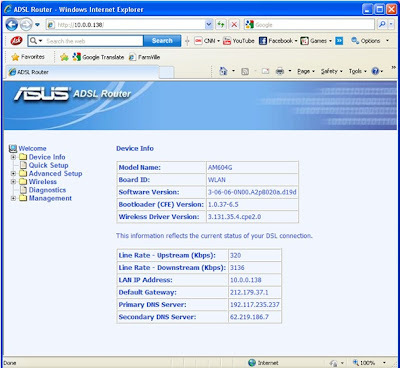 The following pictures show you how to turn the Wi-Fi option off in an ASUS router, press on the picture to enlarge. How to turn all wireless devices off in your laptop? 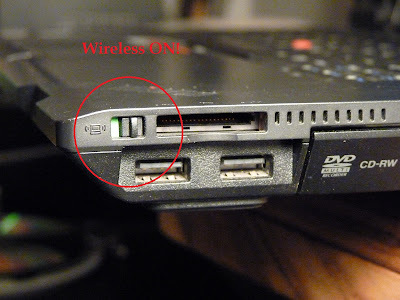 In most laptops, there is a special button on the keyboard, or on the side of the laptop, that allows the user to turn ON/OFF the WIFI on the PC. In most cases, connecting a wired network cable to a wireless PC will reduce the RF emission from that PC, but in some cases, this is not enough. In many models of the newer laptops, turning off the WIFI will not completely turn off all transmissions from the laptop. In some cases the laptop will still scan the air for networks, resulting in RF emission during the scan. In order to avoid that I recommend to "Disable" all wireless adapters(WIFI, WIDI, BLUETOOTH and other) from the "Device Manager". 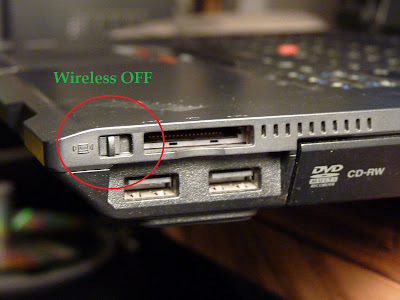 The following pictures show you how to turn all wireless devices off in a Lenovo laptop, press on the picture to enlarge.